OK, now we’re starting to get into the great ones! 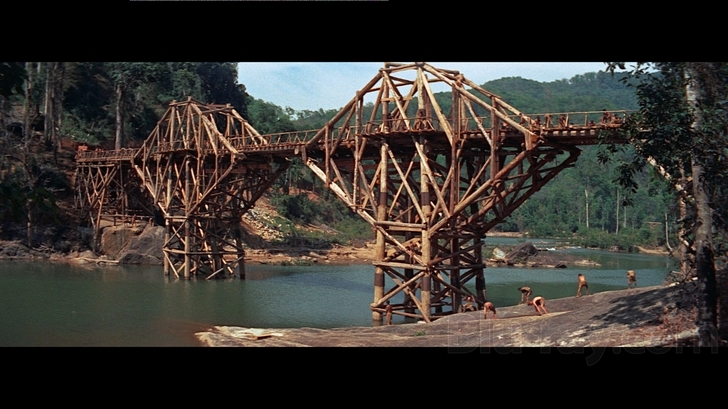 The Bridge on the River Kwai is a tremendous film that took home multiple Academy Awards in 1958 and set a standard for hundreds of anti-war films to come. The film is based on the novel by Pierre Boulle and tells the story of a company of British prisoners of war during World War II who are forced to build a bridge by a Japanese Colonel who has some unique ways of motivating his prisoners. The prisoners are led by the overly proper Colonel Nicholson who at first inspires his charges by not giving into Colonel Saito’s demands, then further inspires his troops to build a bridge that will stand the test of time and serve to honor the spirit and work ethic of the Brits. Unbeknownst to Nicholson, the Allies are planning to blow up the bridge as soon as it’s complete. The bridge itself is a metaphor for the irrationality of war. The prisoners are there to build the bridge and they build a great bridge, only to have it destroyed as soon as it’s complete. In other words, what was the point? Major Clipton says it in the quote above when he watches the bridge crumble and sees the death all around him. Another theme of the film is courage. Saito and Nicholson have different definitions of courage, and Saito thinks the British have none. But Nicholson believes courage comes from doing what is right in the face of adversity and he literally proves his point by challenging Saito at the risk of death. Saito learns to understand Nicholson’s courage and finally gives in and in return Nicholson rewards Saito by building a wonderful bridge. Saito and Nicholson are equally stubborn, but to what end as Major Clipton reminds us. The Bridge on the River Kwai also delivers several spectacular acting performances, especially by Alec Guiness as Nicholson and Sessue Hayakawa as Saito. Guiness was rewarded for his work with a Best Acting Oscar and Hayakawa was nominated for Best Supporting Actor. It was Sir Alec’s only Oscar win over a tremendous acting career and one of the best performances you’ll ever witness. The film also won Best Picture and five additional Oscars. It poured last night in Phoenix and this morning my son Connor had an ear worm — he couldn’t get Rain in the Summertime by The Alarm out of his head. Why a 14-year-old kid even knows about The Alarm is a story for another day, but when he mentioned it I told him I saw The Alarm in concert in 1984 when they opened for The Pretenders at the California Theater in San Diego (remember that show Zac Shess?). This led Connor to remark: “You’ve been to a lot of concerts. Like 20,” he said. Well, more like 100 I replied. When he mentioned I was lucky to have seen so many cool 80s bands, I told him I was fortunate to live in places like San Diego and the San Francisco Bay Area where great bands performed. I’ve lived in Phoenix for 18 years now and a lot of lesser known bands skip the desert when they tour. What about you? Are you a big concert goer? What are some of the best shows you’ve seen over the years? 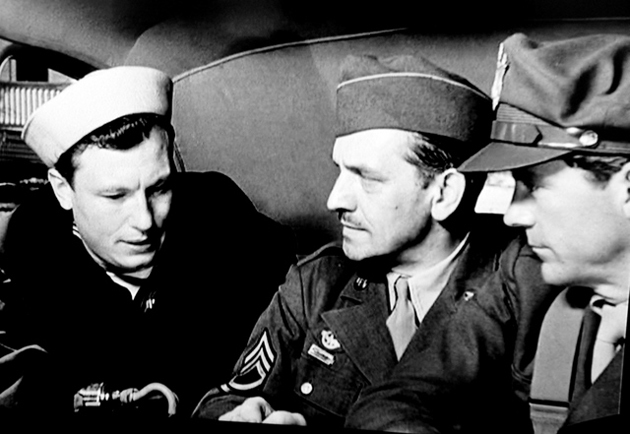 World War II had barely ended when director William Wyler made and released The Best Years of Our Lives, the poignant story of three WWII veterans returning home to small town America to try to re-assimilate back to their previous lives. In the past 40 years or so we’ve seen some similar films, like Coming Home about the Vietnam War and Brothers about Iraq. Those and similar films owe a lot to The Best Years of Our Lives. The Best Years of Our Lives is a terrific drama that explores the post war experience, family dynamics, friendship and love. Al Stephenson (played by Fredric March) returns from the Army to his grown kids and his old executive job at a bank. He is torn between his career and his loyalty to other returning vets looking to get back on their feet. Fred Derry (played by Dana Andrews) is an Air Force bombardier who married a woman he barely knew just before he went off to war and returns home to a wife he barely knows and a very difficult job market for a man of his limited skills. To complicate things, he meets Al’s daughter Peggy and falls in love with her. Then there is Homer, played by Harold Russell, a Navy man who lost both of his hands when his ship was sunk and is unsure how his high school sweetheart fiance will receive him upon his return. This is heavy stuff for sure, and it is so well written and acted that even at nearly three hours it holds your attention because you truly want to see how things end up for these heroes. The film took home a ton of Oscars in 1947, none more deserving than the Best Supporting Actor nod for Russell who actually did lose his hands while in the service (although not in the war but rather in an accident). Still, his hooks are part of his character and you can tell he brings his own experience to the role. Russell is actually the only person to win two Oscars for the same role since he was also given an honorary award for “bringing hope and courage to his fellow veterans through his appearance in The Best Years of Our Lives.” March won a Best Actor Oscar for playing Al, Wyler won for Best Director and of course the film won a well deserved Oscar for Best Picture. The Best Years of Our Lives is a film that shows us what the medium can truly achieve in terms of bringing issues to the screen and telling the story of the human condition. Great stuff.